We have no availability till 8th of July. We are grateful to receive lots of inquiries. However we are afraid that many people have very brief profiles which give us too little information about her/him, with just a few photos, without any review. Please give ample information in your profile so we can know better your personality, character, etc.. Please read our profile carefully. We won’t be returning messages whose sender has obviously not read it. PLEASE avoid cancellation as much as possible! Please note that it is absolutely NO SMOKING at our place, including the garden and the vicinity. We are a married couple, MITAKE Naoya and Emi, recently moved to the VERY western part of Tokyo, closer to the mountains and the Tama River, to enjoy life in the natural environment. We are still in Tokyo with convenience stores and grocery stores, but the atmosphere is almost rural, though still accessible and commutable to the city center. Both of us commute to the city center. Emi is a school psychologist, and MITAKE teaches comparative politics at Komazawa University. We know a bit about what it is like to become workawayers as we ourselves have workawayed in Cambodia and Uganda. We have already hosted many travelers from many parts of the world including the ones we hosted in the city center when we lived in a condo there. We believe Workaway is the one of the best ways to travel. It allows us, both hosts and stayers, to have great chances for cultural exchanges and learning from each other. We are glad to be able to meet travelers from around the world and hear their interesting stories, and give them opportunities to experience life in Japan. We get most joy when we see Workawayers go out there, explore the area and venture into having fun interactions with locals in Tokyo. You can experience a totally different Tokyo here. While you can still go to the city center easily (we do commute there), the area is quiet and full of nature. By exploring the area, you might find different cultural aspects of Tokyo. We believe we communicate very well with people with different backgrounds. And being in the education field, we can take any question you might have on Japan, or whatever. We enjoy stimulating and inspiring conversational exchanges to each other. Normally we put priority on those who can make long time commitment of staying for at least three weeks. Four weeks is better. Occasionally, we host for a week when we need extra help in addition to a workawayer. During the winter time, we host only one workawayer for about one week per month as there is not much help to ask in the garden. We need people who are good at cleaning and tidying in the house and cooking! People seem to think cleaning and tidying is easy and anyone can do it. Yes, anyone can, but some people are better than others. You need to be GOOD at cleaning and tidying if you are to stay with us. We also want workawayers to be good cooks, too. This does not mean you have to cook for us all the time: in fact that does not happen too often. Rather, it is that we have found, from our experience, people with good cooking skills tend to have good communication skills and spend their time here in a more fruitful way during their stay. They also tend to spend less of our money for food. So please honestly let us know if you are good at cooking or not. 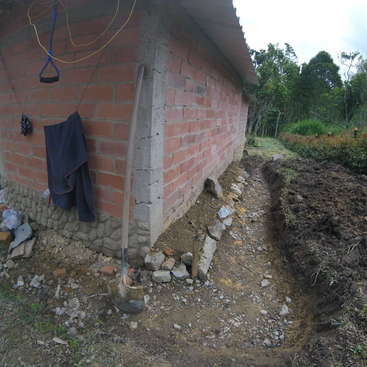 We also need help for the various works in the garden, such as gardening, weeding, getting rid of insects, plowing, etc.. Please be ready to do these works. At the moment, people with carpentry skills who may help us build a garden shed, and/or those with good level of skills of Wordpress, are especially welcome! The help with daily house chores include various cleanings, laundries, grocery shopping, cooking (though not always), small maintenance/repairs and so on. We have no pets, no kids, no elderlies living together in the house. We also ask workawayer to give proper instructions to the next workawayer. On the days of help, you need to be READY TO START to help by at least 7am. You spend approximately four hours in helping us in the mornings, and 1hr in the evenings. In summer, we could ask you to be ready by 6am. You certainly have to be an early riser! 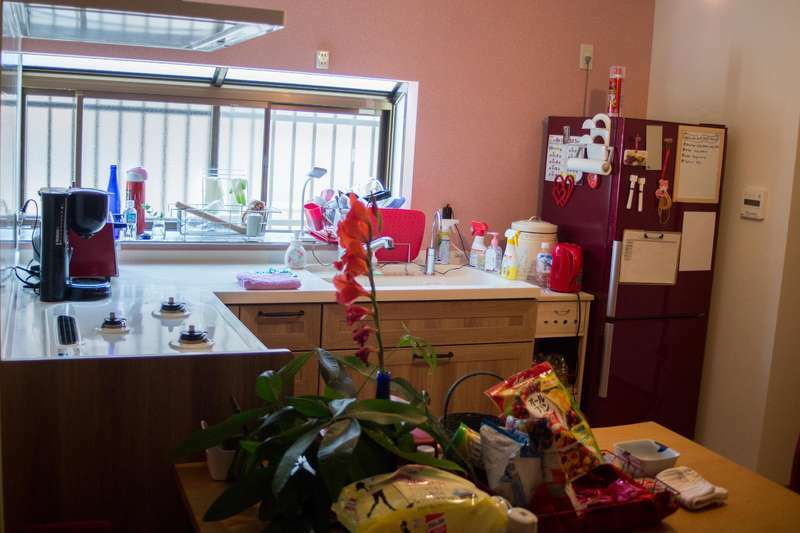 We are located in the western part of the City of Ome in the Tokyo Metropolis. It generally takes about 1 hour and a half to get to our place from the city center such as Shinjuku or Shibuya. About 6 minutes from the nearest JR train station. Please note that our place is very quiet and you will be independent for much of the time of your stay as we commute to work to the city center and we have no kids. Depending on the situation, your room arrangement may vary. 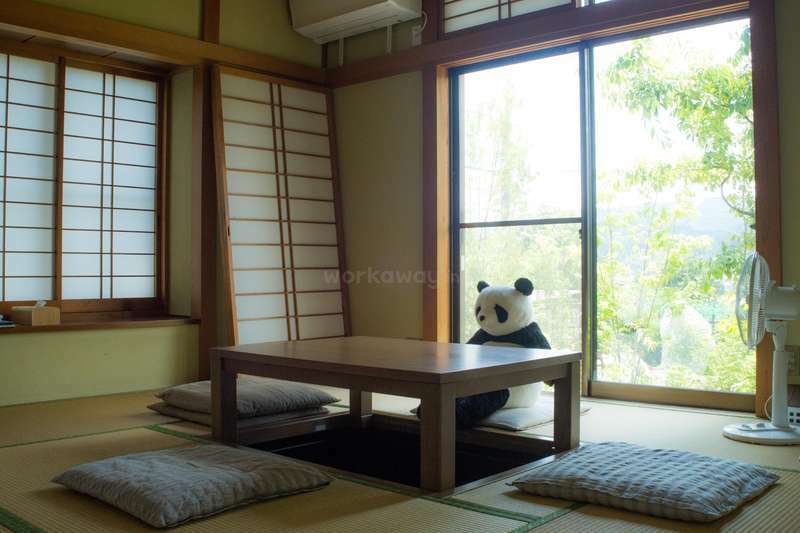 We have traditional Japanese rooms as well as rather westernized style rooms. Sometimes you will get your own room but we cannot guarantee it as guests from other venues have priority. 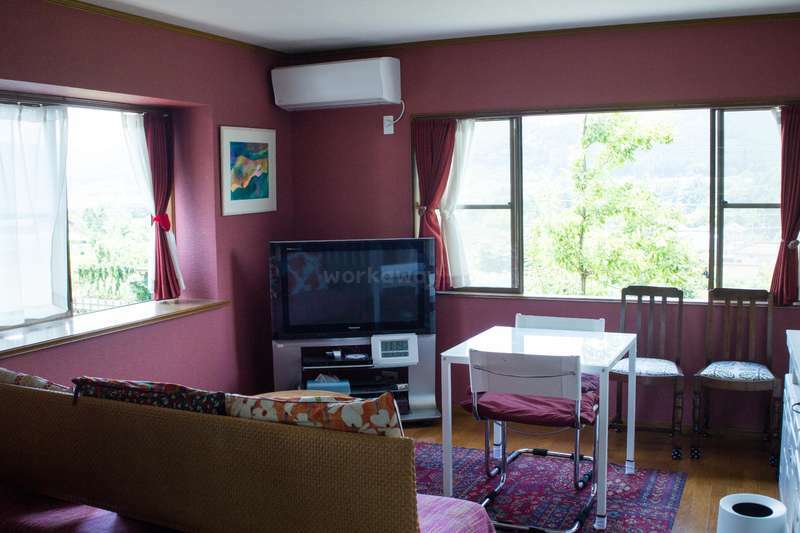 When we have no guests you can have a large Japanese room to yourself, but other times when we have other guests and/or helpers, you may need to share space with others, and/or to sleep in the space where others use as common space during the daytime. 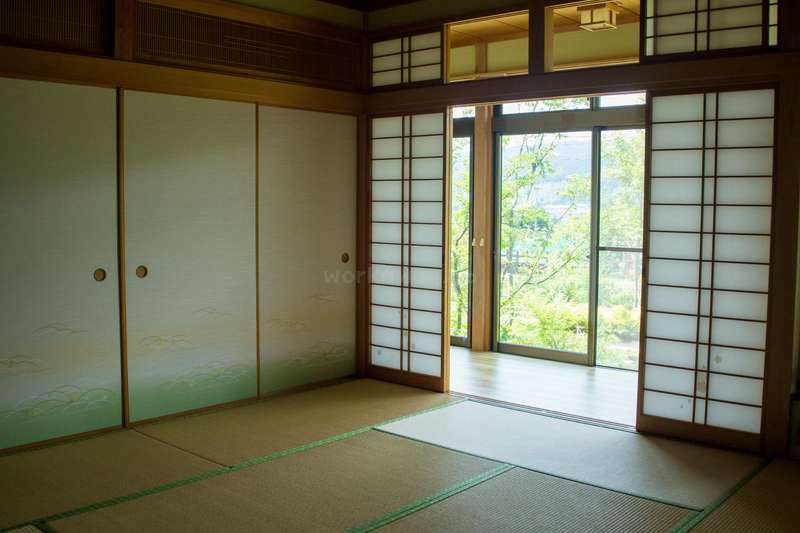 Please note that Japanese rooms are not as private as in Western houses as they are separated only by paper sliding doors. Toilets and bathrooms are common. Other guests may be present at the time of your stay. In fact, it may be possible that you meet some students I teach at my university and former students who have graduated recently. Please acknowledge that when guests come or when we want to use the space, you may need to vacate the room you sleep temporarily during the daytime. We provide in general reasonably priced foodstuff for all meals you take at our place including lunches (excluding ready-to-eat food, expensive meat or fish, fancy desserts and alcohol beverage). We cannot cook for you as we don't have time and we are not good cooks, but you can cook for and by yourselves in the kitchen. You can do your own grocery shopping, riding our bicycles. Occasionally we might ask you to cook for us. Of course, we enjoy cooking together and eating together (as well as cleaning and dish washing together), anytime when our circumstances and schedule allow us. In fact, those are the moments we have enjoyed most until now! 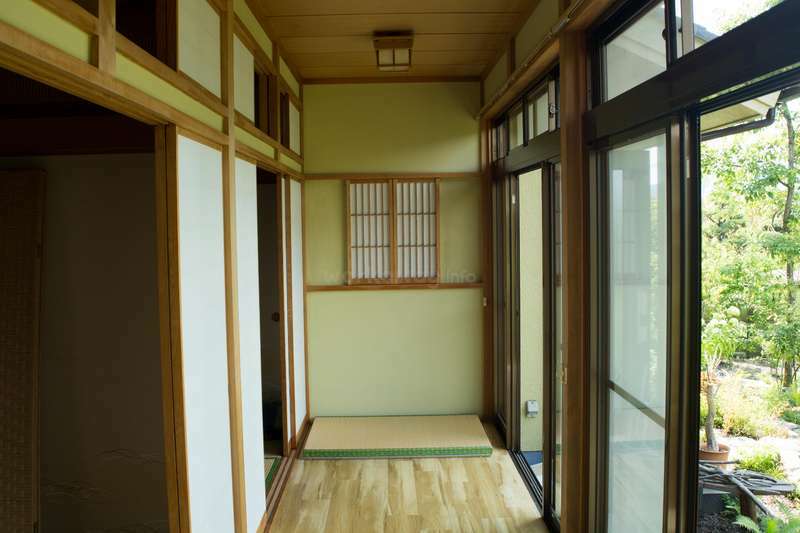 Generally, walls in the Japanese houses are thin and ours is no exception: please keep it down, especially at night. No music, no dancing !! The railroad track of the JR Ome line is just in front of us. Normally, people do not mind the noise and some vibration when the trains pass by as the service is infrequent here and the trains are short. But if you are extremely sensitive, you may be advised to consult us beforehand. Also, do NOT enter the railroad track. You can have fun outdoor activities, such as rafting, canoeing, and so on in the nearby upstream of the Tama River, which is beautiful, though some of them are unfortunately a bit pricey. Walking, bicycling, hiking in the mountains are also available. Visiting shrines and temples nearby including the famous but less touristy Mitake Shrine. The Okutama Lake is about 30 minutes away by a train ride. And of course, you can visit the center of Tokyo once in a while if you miss the crowd and vibrant atmosphere there anytime, though it does cost about 1000 yen one way for the JR train ride. We cannot guarantee, but if our schedule permits, we would love to take you around!! We had a fantastic time with Kevin. Kevin at first seemed to have some difficulty in getting used to some tasks, but he got used to it quickly. He was eager to improve himself all the time. He edited and improved our house manual with fantastic editing and writing skills. We had a fun time with him, doing barbecues and so on, and he was always… read more willingly helpful. We enjoyed his professional musical skill which was extraordinary! It was great for us to see him enjoying participating in a community group to play the game of Mahjong with the locals. He went on to travel around Japan, after our place, solely by hitchhiking!! We are so glad to have become part of his incredible and adventurous journey. 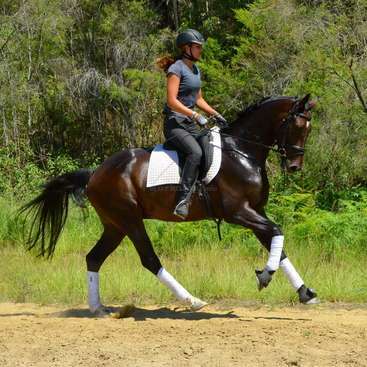 We can recommend Kevin to any host who wants a fun and capable workawayer! Manon stayed with us for about 5 weeks, and we had a great time with her! She is calm, friendly, and enjoys pleasant conversations. Thanks to the fine weather while she was at our place, we could ask her to do lots of and various outside tasks in the gardens in addition to house chores. She has done every one of them marvelously. She was proactive… read more in dealing with tasks and when it comes to cleaning in the house, she was almost professional. We can say with confidence that any host would be happy to host her! We had a fantastic time with Artur! First and foremost, he dug an enormous hole which we desperately needed in our garden! He did it with laser-sharp precision, just what the scientist like himself does. He does things with such a clear mind, and it was very easy to communicate with him as he talks very gently. He let us know exactly what we… read more needed to know. Even when we had to turn down his requests, he accepted and showed understanding with great politeness. He is very reasonable. He is also a great cook. The Portuguese cuisine he cooked for us was delicious! He enjoys triathlon too!! We wondered how many talents he, the great scientist, had. He was actually very funny too. We really wish we could have more intelligent and funny conversations with him! We can recommend him with great confidence to any host! My time in Ome was absolutely wonderful! It was my first experience with Workaway and I was a bit nervous about doing a good job but the nerves ended up being unnecessary. 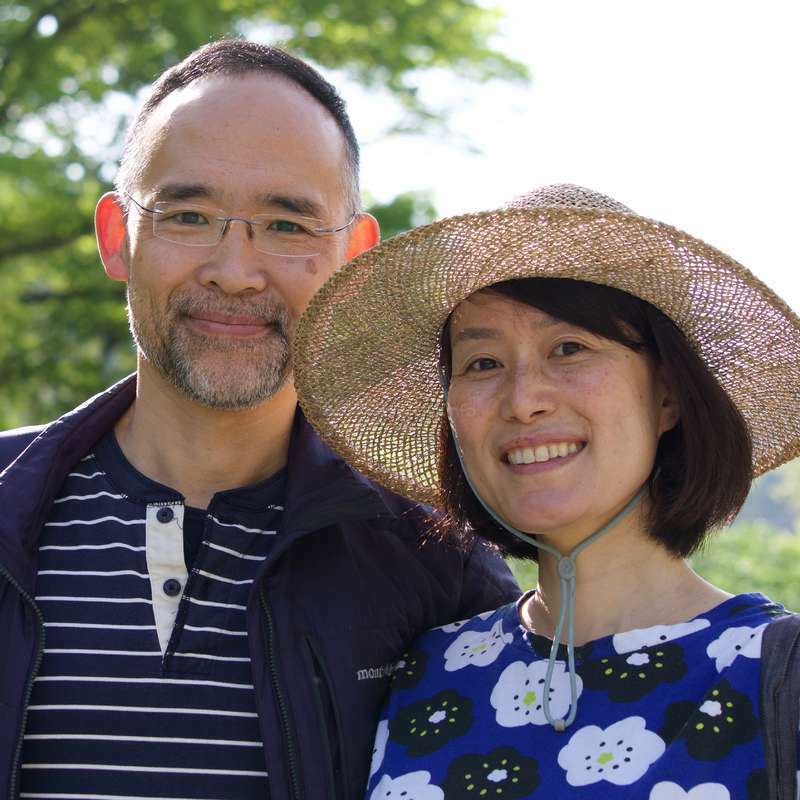 I had a bit of a unique experience at Mitake-san and Emi-san's place because I was house-sitting for 2 weeks while they were away on vacation, and I felt very welcomed by both… read more of them from the moment I arrived. They were very patient with me in my Japanese conversations, even though my level is still quite low. Even though I can get quite nervous and switch to English, Emi-san and I had quite a few conversations entirely in Japanese, and it was great to use my Japanese in an environment away from a classroom. Also, Mitake-san's English is perfect so you won't have to worry if you can't speak Japanese! I spent a lot of time at the nearby river and soaking in the views there, which was perfect for hot days. It was incredible to spend some time in the countryside away from the hustle and bustle and get a true experience of Japanese culture and nature, and I loved being able to spend time in the garden since I'd never done any gardening before. Mitake-san was very patient with me and taught me all the different things I'd need to know. It's definitely inspired me to have my own garden one day, and also I've developed quite the taste for eggplants! In addition, I was very grateful that they were patient with me due to a bit of confusion with my schedule requiring changes of plans. The work included vaccuming, wiping the floors, using dehumidifiers on the futon mattresses, keeping the kitchen and bathrooms clean, and gardening, and was very reasonable and didn't take more than 5 hours. My last evening and day in Ome was very memorable because I learned I am quite bad at tennis after joining Mitake-san and his friends for a game in the boiling heat! We also had a takoyaki dinner party which was delicious, and very fun because I'd never gotten to make my own takoyaki before. Their neighbors were also very gracious and giving to me in my time alone while house-sitting, and gave me some wonderful company. Thank you both for such a wonderful experience and letting me experience Ome. It was wonderful for us to host Val, and we can’t thank her enough to have chosen to stay at our place! She was very friendly, outgoing, and polite. She did all the jobs related to house chores and gardening diligently, and not just that, she visited my students on campus and helped them practice English, which we appreciate so much. She made… read more such a great impression (even though our students were too quiet for her to realize that) . She had full of energy, and it was a pleasure for us to host her as she was enjoying her stay here to the full by visiting bouldering places, swimming in the river, bicycling, jogging, even going to climb Mt. Fuji! She played ukulele, and draws too. So talented! Overall, her presence has made us happy and fulfilled a lot. We can recommend her to any host. We guarantee that he or she will benefit from and appreciate so much with her open and positive mind. Emi and Mitake-San are absolutely wonderful hosts! They took such good care of me from the moment I arrived. The house and gardens are traditional and beautiful. The town is also full of adventure. They have two bikes that I was able to ride every day. I also spent a lot of time climbing down by the river, hiking, running, swimming, and exploring… read more the mountains. There is just so much to see in the area. Of course the place is exactly what you make of it—if you want a quieter and relaxing place or a place full of adventure—it can be anything you imagine. I was invited to a BBQ at the home and even learned how to make sushi!! So so so fun. I also had the opportunity to climb mt Fuji, I highly recommend it. The climb is not too difficult and the experience is unforgettable. Emi was sooo very generous and allowed me to barrow her rainy weather gear. I would have been absolutely miserable without it—as it was pouring rain and very windy. That was how his stay started with us. Looking back, it passed by as quickly as lightening. He is quiet, but actually very funny, and well balanced between perfection and joy. He did every house… read more chore very well, cooked some wonderful Argentinian style meal for us. He was very well fit, and ready for physically demanding job as well. It was a wonderful experience to watch a World Cup Football match with an Argentinian for us. I will cherish forever the moment when he said with sigh “What a pity. My garden” as he left our garden and house on the last day. He also left a beautiful drawing in our guestbook. Thanks, Leandro, for taking care of our garden and house so well, and warm memories. Next time, we expect to meet you as a successful businessman in a fancy hotel in the center of Tokyo! I stayed with them during 3 weeks but felt like one. I had a great time there. They always make me feel like home, always helping me in everything they could and showing and telling me about Japanese culture. I love thouses chatting during dinner. They have a beautiful traditional Japanese house with two wonderfull garden whith flowers and veggies… read more that you can eat. It was my first workaway experience and I couldn't ask for more. Thank you very much guys!! I love that time with you! Andy stayed with us for about a month. He was fantastic! We could not believe he was only 18 at the time of our hosting. He was mature, composed. He was very responsible and respectful. He could associate with people of any generation quite well. He is warm-hearted and pays respect to and likes to observe nature (especially fish!). He doesn’t mind… read more physically demanding jobs, and on occasion showed his marvelous creativity in conducting outdoor jobs. And he is a great cook, too! We would definitely host him again if there is such a chance, and would recommend him to any host who need a good helper around the house and garden! It's been more than a month since I've left Mitake-san and Emi-san and I still cant realize how amazing they are! I stayed 5 weeks at their lovely house and it was amazing. They are both two great human being, really interesting and intelligent, always looking to learn more about anything! You would probably enjoy long conversations with them as I… read more did ahah! I am certain that they would teach you more about Japan with pleasure ! The worked consisted in different tasks, both inside and outside the house (a lot of suginas to take out ahaha), but it was pleasant to do and it was pleasant to take car of their beautiful garden as well! I miss both of them a lot and I am missing Ome city too. They live in such a peaceful place of the city, it's incredible. I stayed with Mitake and Emi for 2 weeks! It was memorable time. I feel so thankful that they hosted me and was so kind to me! They let me stay in a very beautiful traditional Japanese room with tatami and a nice view from garden. Their house and the garden are both very lovely. My job there is just lightly and I had plenty of free time to read… read more book and finish my report, walking around the beautiful city! What I like the most from them are their lovely smiles! They are both very gentle and kind people. They made me feel very comfortable and brought to me a lot of joys. Thank you so much Mitake and Emi san! Hana stayed with us for two weeks in February. She is a wonderful student, always with smiles. She is very caring, considerate and humble person, and think highly of helping out to people around. She is passionate about learning and learns things quickly. She proactively communicate well with anyone around. Above all, we liked her attitude to… read more stay positive and grateful all the time. All in all, it was a wonderful experience for us to host and get to know Hana. We can assure that any host would have the same experience if she/he has a chance to host her. We hope to see her again, and we wish her a great future back in Vietnam! Fanny stayed with us for about a month. She is a fun person to be around with. She is very intelligent and caring. She can work outside as well as inside the house with no problem. She cooks well, too!! When it comes to work of any sort, she always strive for perfection, which gives us the impression that she is very professional in her work. She… read more is not just organized, but very good at helping others get organized as well. She created the first version of our house manual for us, too, which will serve the needs of many guests and workawayers to come. We are very grateful to Fanny for everything she has done for us! We can recommend her to any host looking for help in house chores and gardening! First time doing Workaway and it was amazing! Emi and Mitake san were wonderful hosts. First of all the work was easy and the hours left enough time in the day to explore the beautiful surroundings of Ome and Okutama. Usually there is gardening work to do but as it was Autumn and going into Winter there was little gardening and mainly had to… read more paint some wooden railway sleepers in the garden. The rest of the time was spent cleaning the house which Mitake san said was flexible and I could do half the time in the morning and half in the evening which was really helpful. They are such a lovely couple and very accommodating. Emi is very creative and as an artist myself it was fun talking about art and actually Emi had lots of examples of her own creative work in the house from her drawings to her own light covers made from glass she blew herself. And Mitake san is so interesting to talk to, I literally felt like I could talk to him about anything and it was so interesting learning about a lot of Japanese culture I was unaware of. I even got to meet some of Mitake san's ex students which was really fun. I just wish my Japanese was better so I could communicate more. 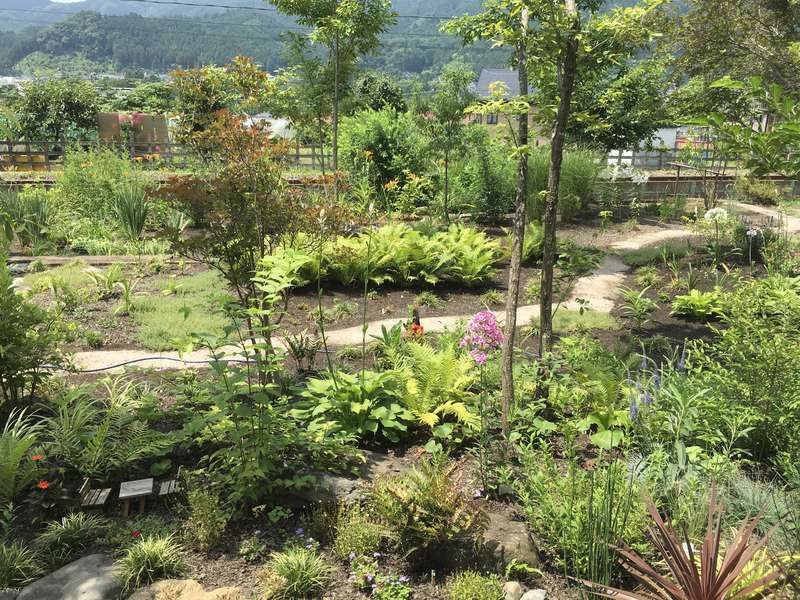 I would definitely recommend this place if you are interested in gardening obviously but definitely for creative people that want to experience a quieter aspect of Japanese life in the beautiful countryside. It was so nice to explore the hills and mountains and Mitake Shrine in the Autumn with the bright red colour of the leaves showing on the trees. Jake spent about a week with us. He is a calm guy, but in fact very funny! He met some of my ex-students and they loved the time they spent with him. He did various sorts of gardening and house chores for us, and we appreciated very much. We can recommend Jake to anyone who wants to have help and pleasant conversation!! I stayed with this family a long time:) But for me it was like a light. It was my first experience with workaway travel and Im glad that it happened just right there in picturesque Ome and in lovely, hospitable home. Daily chores were simple and agreeable. Weeding in the unusual, beautiful garden when cucumbers shows unexpectedly was satisfying… read more and quite interesting. 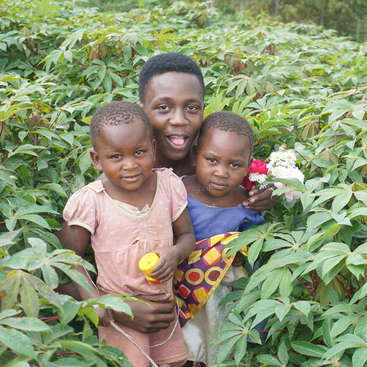 Struggling with 'bad guys' (I mean zassou,) having sample with type of weeds under your hand made it easy. We had barbecue in both polish and japanese style I can't decide witch I liked more. We were fishing, swimming, shopping, weeding, cooking together. We went to matsuri festival. The best part of the day which I treasured the most was the dinner time when we can talked about everyting, share stories and learn, make jokes and laugh. Sometimes even had a sip of delcious, local sake witch made us all red, happy and bring the feeling for eating ice cream witch was great. The family home has open door for all people. You can make new friendship and keep in touch with them for long time. Emi-san is a pianist. She plays the piano everyday making your afternoon leisurely. He plays tennis. Making the distance between his skills and Federer smaller day by day. Ome its great place for jogging and cycling. You can play on Valleyball with neighbours. It takes 5 min on bike to get to the river, where water has lovely, green colour but its very cold and it's hard to swim. Sylwia stayed with us almost a month, and we had a wonderful time together. She is calm, reserved, caring, and worked diligently for us. She did a great job in the garden, including much weeding. When it comes to cleaning the house, she did her work like a pro! While she was at our place, our house was always clean and comfortable. She even cooked… read more wonderful nice polish (and other ) meals for us on several occasions! We highly recommend her to any host. We are sure he or she would find it delightful to host her! Evana was our first helper from Malaysia. She spent a week with us, helping around the house in general and helped us in the garden as well. She is a quick learner, asks lots of smart questions, and did all the chores thoroughly for us. She is very cheerful and respectful, and can be independent. We can surly recommend Evana for anyone who needs… read more help around the house and other various kinds of work!! Unfortunately the weather was terrible for the week they stayed with us It was… read more unfortunate for us as well because we wanted them to help us with some major stuffs in the garden. But they did their best for us and helped around the house as well as some gardening on a precious single non-rainy day during their stay. Anyone who would host them would be delighted to have them. And even though we couldn’t appreciate their actual skills enough due to bad weather, I am sure they would help you with handy skills all around! Our stay with Naoya and Emi was wonderful! They invited us with open arms and made sure we didn't lack anything. THey took us to a supermarket and we could get whatever we wanted, so generous! The house is a real Japanese gem, full of character. 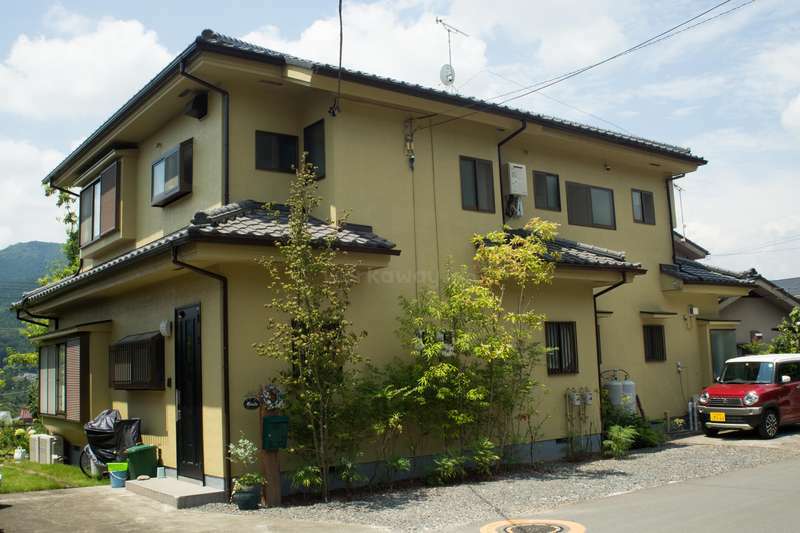 To us (but we don't have much reference) this is a typical Japanese house, as you would know it from… read more movies. The work was very satisfying, we got to work in their nice flower garden to make it ready for winter. Although the weather was very poor, we had rain on 5 days of our stay there, we still enjoyed it a lot. The surrounding environment is gorgeous! With mountains all around, a big river in the valley and lots of places to go hiking. We really enjoyed the time we spent together during dinner and daytime when we worked in the garden. Their English is perfect and they really put in an effort to make you feel at home. If you look to meet nice Japanese people who are always smiling and willing to help, stay with Naoya and Emi, you will not regret it! I stayed with Emi and Naoya for one week, and I would say they were some that kindest and most pleasant people I have met in my life :) They are so funny, smiley, and like to laugh, which I love! Overall, It was really nice to stay at their place. 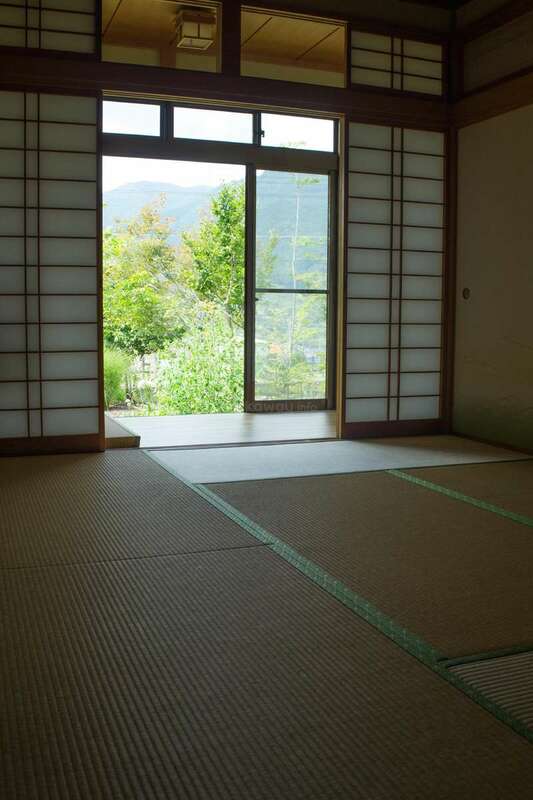 It was always a dream of mine to stay at a traditional Japanese house in the countryside, and their… read more house was just that. It is such a tranquil place, and while its very far from Tokyo’s main tourist areas (~1h 30minutes by train) I would say that this little place was my favorite thing about staying in the Kanto area. The area is so picturesque, with a beautiful river. My favorite thing was riding on a power-assisted bicycle they let me borrow and I just cycled through the valley with the cool air in my face and the fresh smell of flowers in the wind. There’s also really nice temples near their home! The work is not very hard, as it is mostly maintaining their beautiful house which is almost pristine already. 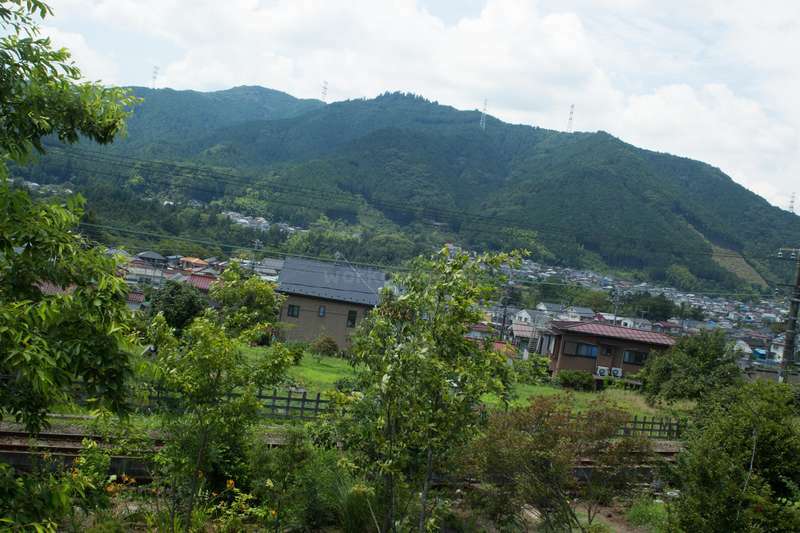 I also worked in their garden which is beautiful and there is a train that passes by all the time, it reminds me of scenes from Hayao Miyazaki films to be honest. I also helped Emi clean her office, and that was nice as her office was located in became my favorite part of central Tokyo, there’s a nice park you have to cross to get there, where you can see Katsuburi, which look like tiny ducks, and apparently have quite a fan following (:’D). There’s so many cute families that go there and the streets outside the park are nice too. I also liked learning a little bit about Japan’s relations and history with neighboring countries from Naoya. As they are very organized people, they also have print outs of what needs to be done so that I always knew what they wanted me to do every day and they allowed me to complete tasks whenever I wanted. Everything they asked me to do were things were reasonable and that I could complete within the expect hours. So everything felt fair Overall, a really enjoyable experience! Steven arrived at night. His phone got dead on his way so he had to guess where our place was in the dark, dragging a huge luggage. But when he arrived he was all his smiles. Such is the character of Steven. He never whines, taking things in a positive manner. He is calm, curious, caring and always with friendly smiles. He works diligently, pays… read more attention to details. He helped our gardening and house chores as well as cleaning Emi’s office. I can say with confidence that anyone who hosts Steven will have a wonderful time! Ms. Yamakawa came as a first Japanese workawayer for us. She is calm and reserved, and did all the gardening and house chores we asked diligently. She only stayed several days, but it was very… read more helpful for us. She probably has lots of more skills. We recommend her to any other host who look for a polite workawayer! Rosalie worked for us one week in September and another week in October. We are so happy that she came twice for our place! She is very reserved, modest, and polite. She earnestly dealt with our house chores, and gardening. We certainly enjoyed her stay with us. She left a beautiful drawing for us in our guest book! 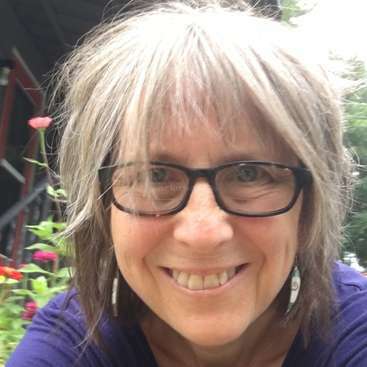 We hope to host and see her… read more again, and we can certainly recommend her as a volunteer for any host who is looking for help around the house and the garden! Naoya and Emi are such nice hosts! I’m so grateful they agreed to host me (on such short notice on top of that). I had a great time here. The house and garden are lovely! I slept in a beautiful japanese style room (I particularly like the smell of tatami!) with a nice view of the garden. Working here was quite enjoyable. I helped them with house… read more chores (which meant cleaning an already very clean house ^^) and it never took more than 3 or 4 hours, including some light gardening (removing clovers from the garden mostly). In spite of their busy schedule they were kind enough to spend some quality time with Jazzy (the other guest) and me. If you’d like to meet amazingly nice and generous people, have interesting conversations, wake up to a quiet, beautiful scenery every morning and have a lot of free time to do various things on your own, then this is the perfect place for you! Thank you so much Naoya and Emi! Being hosted by this couple was a privilege-and-a-half! They were some of the most gracious and generous people I have ever met. The absence of a language barrier owing to Naoya's excellent command of the English language was a pleasant bonus, and helped us develop a better understanding of everything we had seen in Japan thus far through our… read more Western lenses. They live in a serene neighborhood in the Tokyo metropolis of Oume. 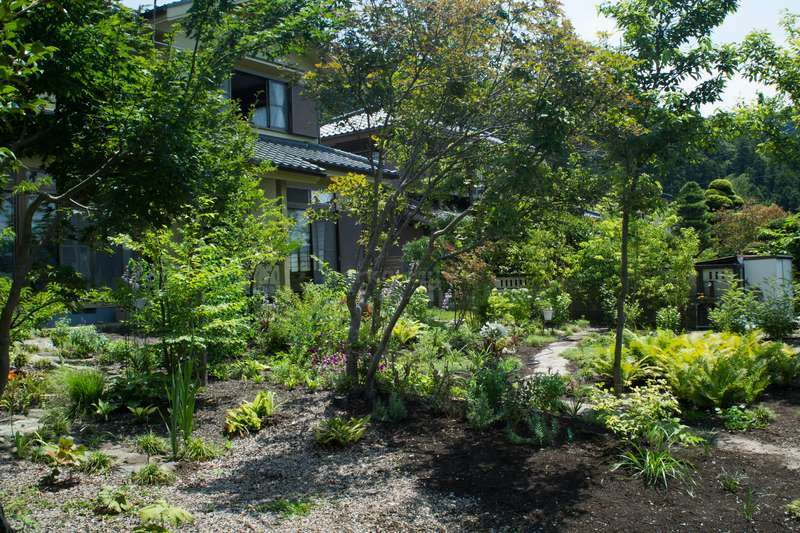 The area is abundant in scenic views and outdoor attractions, some of which are visible from their delightful home. Their home is a blend of traditional Japanese and Modern European. 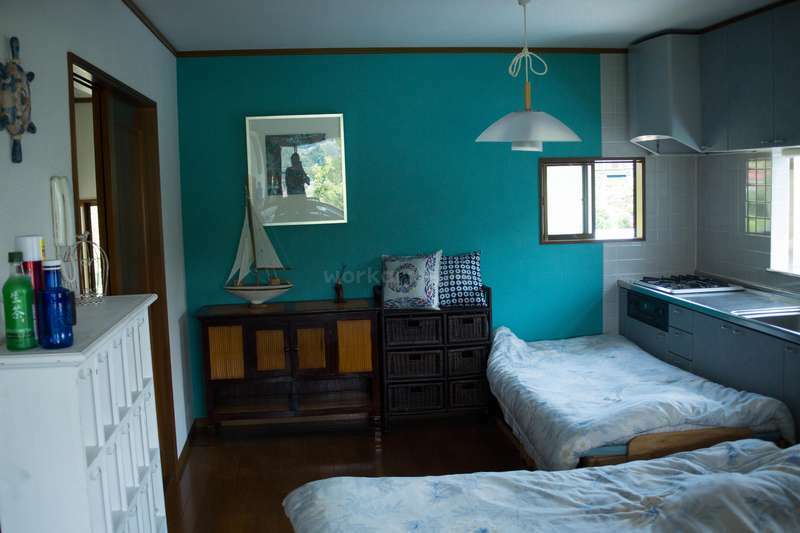 We had our own rooms and futons in a big bright space, the doors to which opened up to their garden, the vast Japanese sky and the mountains! Other than waking up to that beautiful sight, we also woke up to an amazing selection of coffee that Naoya keeps adding to regularly. We were assigned a series of daily chores that wouldn't exceed 3 or 4 hours a day and were given lots of flexibility in terms of scheduling our work, including making trips out to explore Tokyo city or the local area. There will be a great balance of intellectual and creative stimulation during your stay there, given that both of them are academics and Emi has a penchant for painting and playing the piano (among other undisclosed talents, I'm sure!). My friend was quite taken aback when Naoya and Emi took us grocery shopping and then refused to let us pay for anything we picked out. Things in Japan can get quite pricey, and that was a very generous gesture. Emi would surprise us with dinner at times, in spite of her busy schedule. Despite our different meal times on some days, we would all look forward to gathering at the dinner table every night. We had quite a few interesting conversations at dinner and in the middle of the day during our breaks from work. To top it all off, we were accompanied all the way to the train station on our way out, which ended in hugs and bittersweet goodbyes. Thank you for making our visit to Japan so ridiculously memorable! Atullya came to our place to work for us with his friend Mike from Canada. They became the first guests we hosted thru the Workaway.info. For that, we are very appreciative! Both guys were hardworking, very willing to help in any way! Mike was kind, always smiling, and very gentle. Atullya was very tall (for us anyway), which was very helpful… read more for cleaning, and always joking and meditating at the same time. We had so much fun hosting them, and would recommend them to anyone who is in need of some kind of help and want to have fun time! Colm came to our place to work for us after spending six months in India! He was very friendly, calm, thoughtful, but adventurous and passionate. It was so much fun hosting him. He helped us cleaning around the house, lots of weeding, creating manuals in English, taking photos for our profile of this site, etc. It was all very helpful. We would… read more surely recommend him to anyone who needs a helping hand!